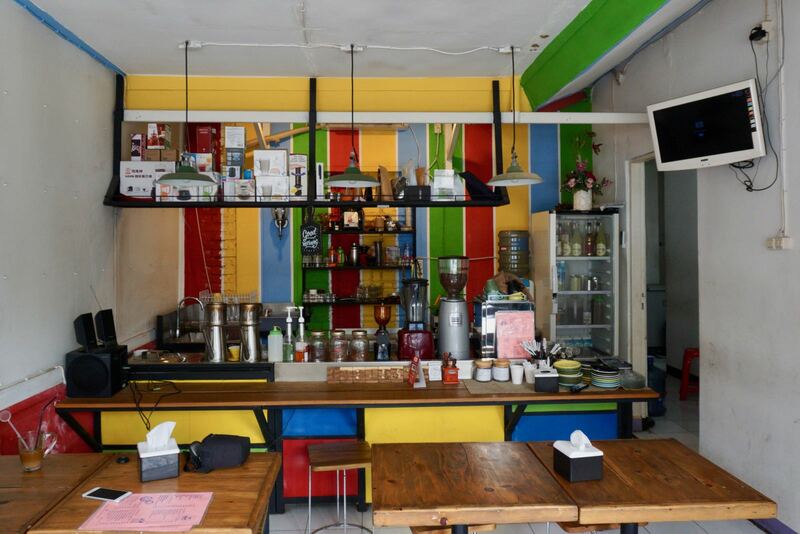 Located in the Chinese area of Bandung, the aptly named Kopi Kelenteng is a kopitiam style coffee shop offering manual brew, espresso and kopitiam style coffee. And we love it. 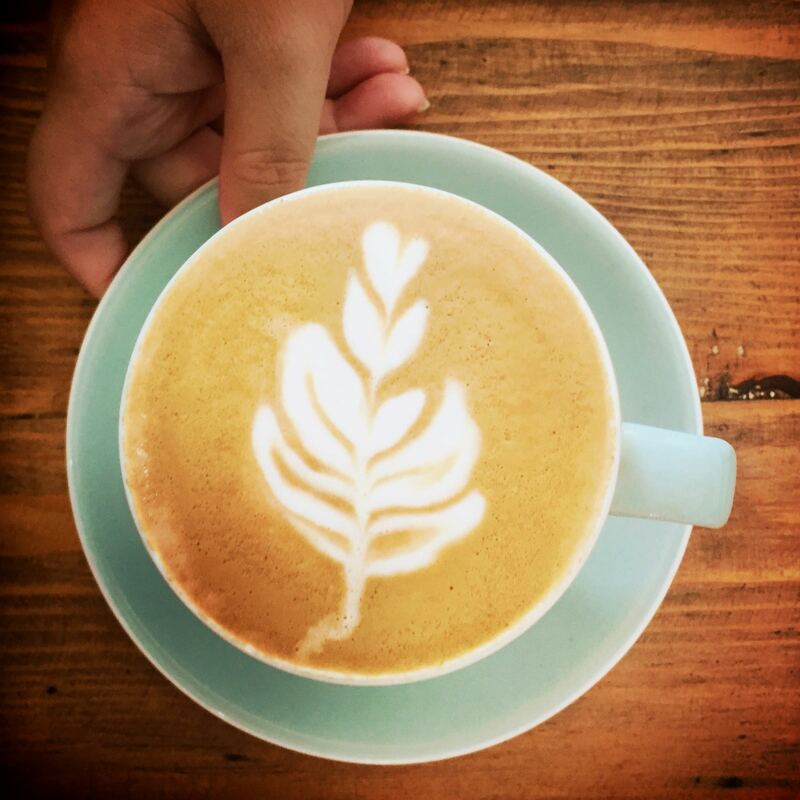 The thing with coffee shops in Bandung is that they all start to feel the same. Wood, industrial fittings, bags of Proud Mary coffee behind the counter. What started as an original theme by Noah’s Barn has been copied to death by others. And Kopi Kelenteng well and truly breaks that mould. What we really love about the shop itself is that it’s not in a ruko. I hate rukos because the shape is always the same. Boring! The no-ruko aspect means that the cafe has an interesting shape to it. It’s a small space with only a few tables, a dedicated smoking area and the tiniest of kitchens. The menu is simple. 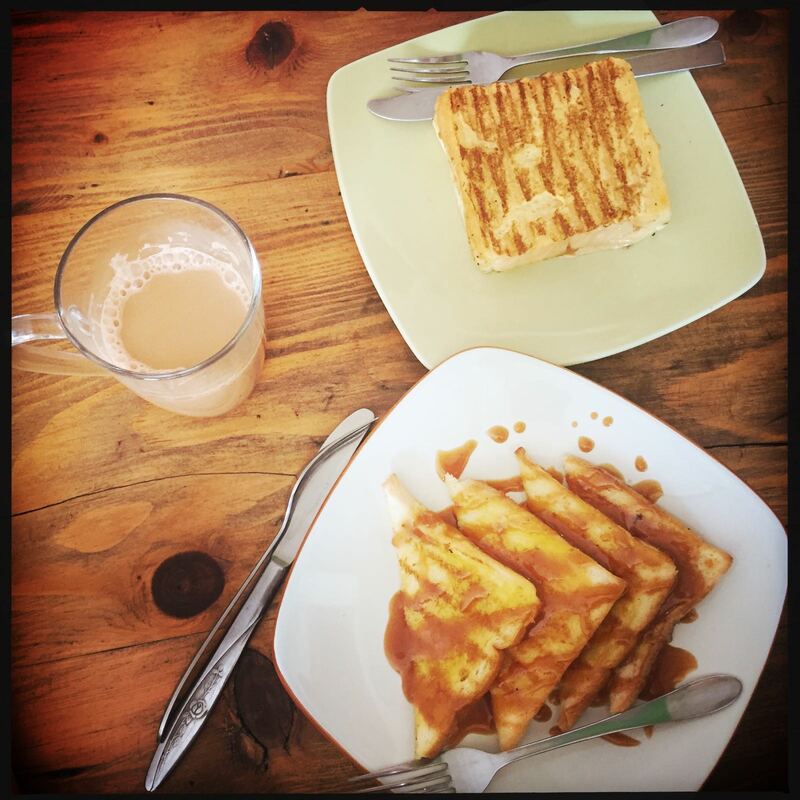 Lots of toast, nasi goreng and other cemilan. The coffee range is large because they brew in lots of different ways. The magic we tried was spot on. Strong flavour, well-textured milk and looked good. The teh tarik was similar to what we know and expect in Malaysia although we’d be happy to see a bit more froth. 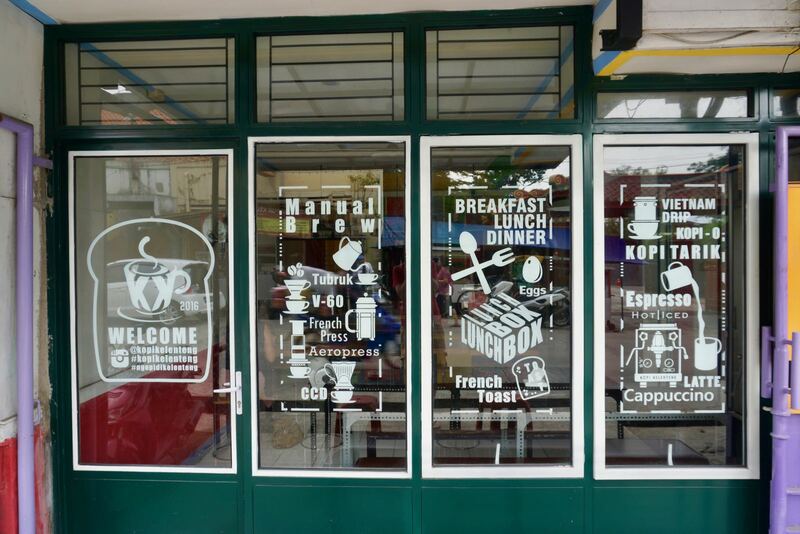 So what don’t we like about Kopi Kelenteng? Not a lot! We would like to see a few extra dishes served such as lontong kare or other simple dishes you might see in a kopitiam. But other than that, Kopi Kelenteng is a damn fine example of what a simple coffee shop should be. Top marks. Check it out if you can. 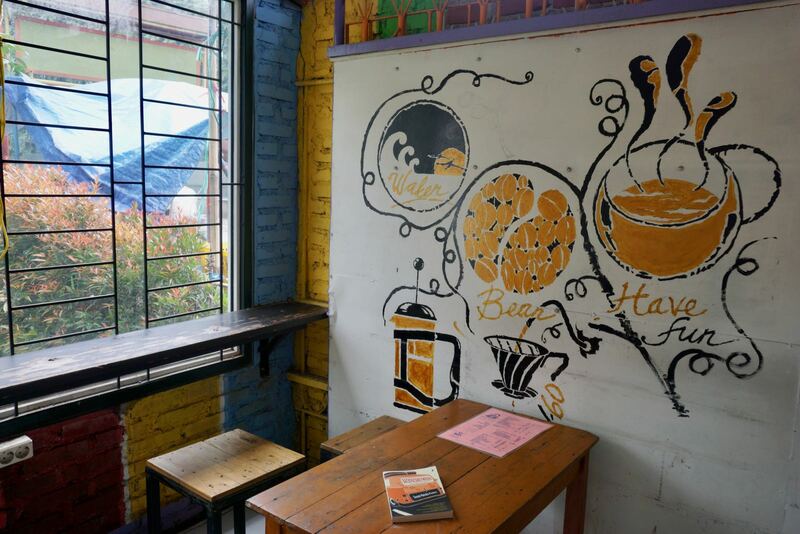 Kopi Atim, Bandung: Coffee is Awesome!